One of the fantastic things about Guillermo del Toro's Robots Vs. Monsters movie is that the director deals with the bloody aftermath of a battle to the death with giant monsters. Kaiju carcasses rot where they fall, their blue blood oozes into the streets. 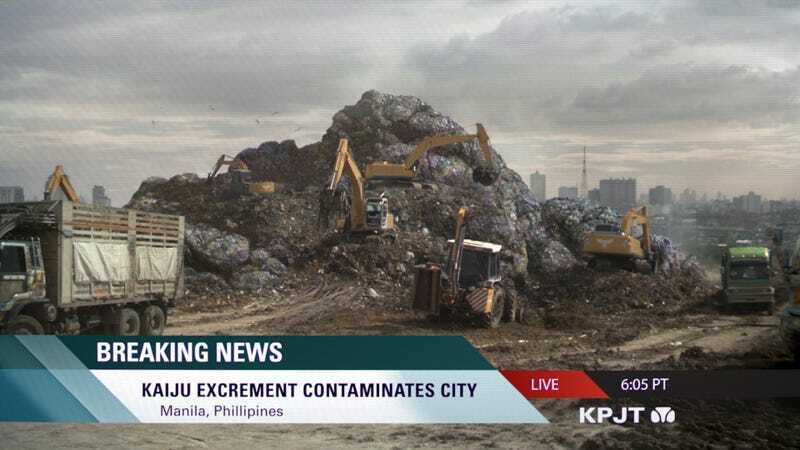 And when Kaiju need to poop, that's also a huge problem. All of these real world monster problems are revealed in this collection of new images from Pacific Rim. We've never been so excited about a picture of crap before.